A man was struck by a Metro train at the Rockville station just after noon Friday, according to Metro. 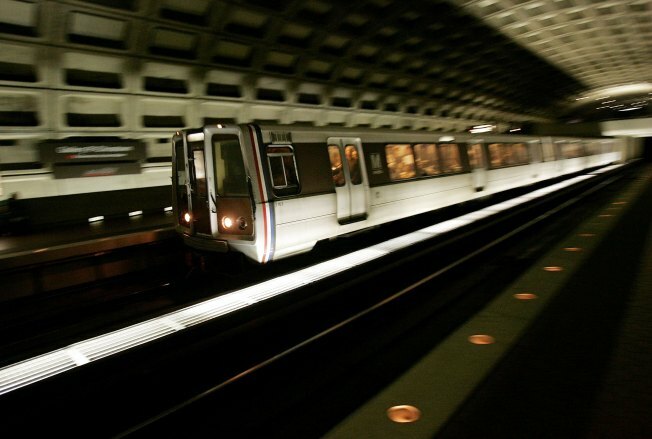 The man was stuck under the train for about a half an hour, NBC Washington's Pat Collins reported. A small jack that can lift 90,000 pounds was used to raise the train so rescuers could slide the man out. He suffered injuries to his arms and legs but was alive when he was taken to a trauma center. His condition is unknown. Authorities are investigating how the mann got struck. According to Metro, the preliminary police report is that he was on the tracks intentionally. Red Line riders experienced delays. Trains shared the same track between the Shady Grove and Twinbrook stations. The Rockville Station was closed temporarily. Trains passed through but didn't service the station. Shuttle bus service was established.